So, my second subscription box landed on my door just recently. (Much to my excitement!) So here's the rundown for you. 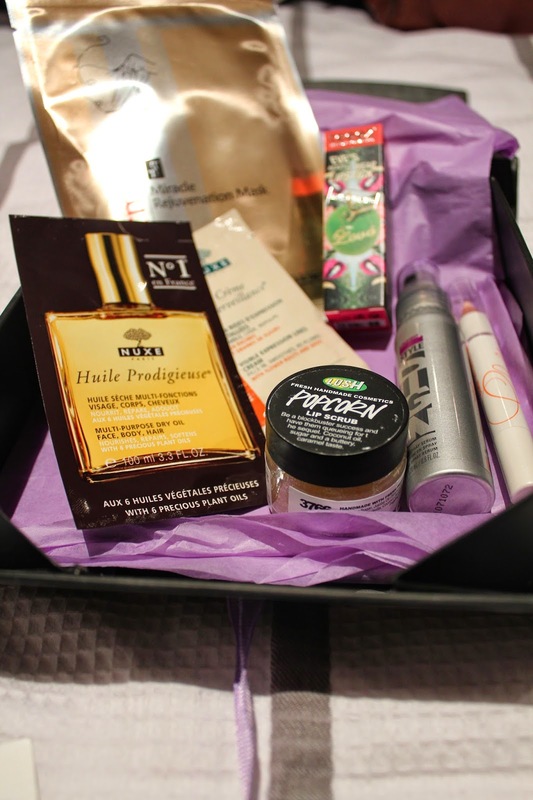 I received another Australian beauty box called Violet Box. Violet Box is a bit more expensive than Bella Box, as it retails at $22.95 per month. However, I used the code VIOLETBOX10 to get $10 off mine. 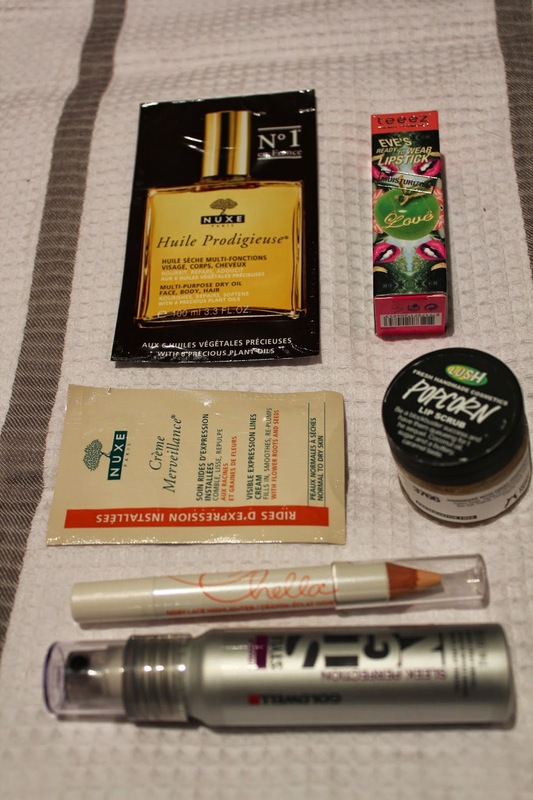 This subscription box comes with 6-7 samples, and I was much happier with the selection than I was with my last box. Violet Box has a different range of product suppliers to Bella Box, and this seems to suit me so far. Also, can I just point out the purple factor... Bonus points for that! Nuxe Huile Prodigieuse. - Which is a multi-purpose oil for dry skin... Very apt for this weather! Nuxe Creme Merveillance. - Supposedly meant to target visible expression lines, I will definitely be getting this one onto my frown lines! LUSH Popcorn Lip Scrub. - I've used this product before, and it's good if you, (like me) wear lipstick a lot, and your lips end up in bad shape. Chella Ivory Lace Highlighter Pencil. - This product excited me greatly. I've been contemplating getting a highlighter for a while now, and now I can try one out! StyleSign Sleek Perfection. - I don't often use heat tools on my hair, but I think I might have to start so I can try this heat protectant spray. 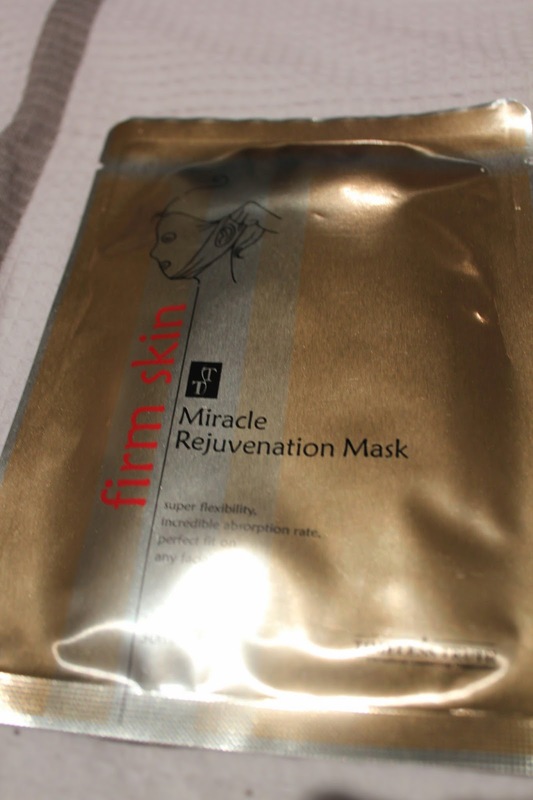 Timeless Truth Miracle Rejuvenation Mask. - Face masks aren't kind to my sensitive skin, but my mum is excited to give this one a go. Overall, I'm pretty happy with this one! Not sure if I'm willing to fork out the $22.95 a month though. What do you guys think? I really want a subscription box, though your right it looks quite pricey for what you get. 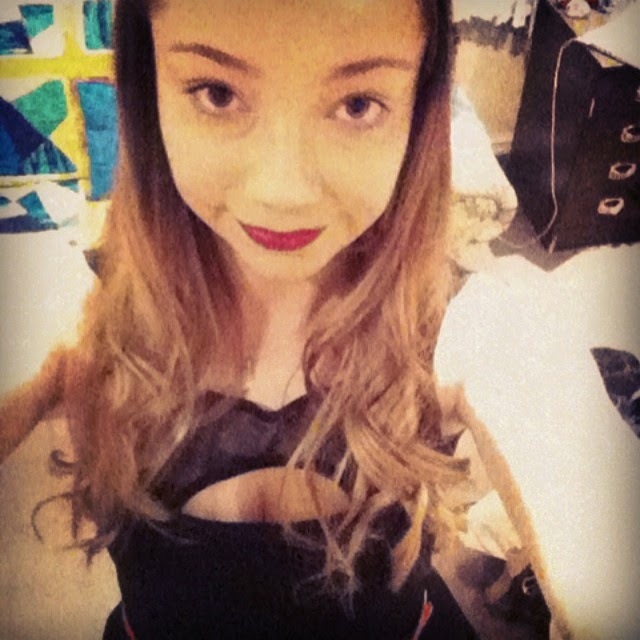 I'd be so happy with the hair rejuvenate though, hair masks are great! its a shame that subboxes arent that popular in the UK. I'd love to have a subscription box but I can't afford it each month :( haha. I've heard Birchbox is quite good, maybe give that one a go?